Buddhism was introduced to China by travelers coming from India and other parts of Asia. As the faith first took root, the monks who came and settled in China created countless statues and paintings. Buddhist art dwindled with the decline of the religion in the country during the 9th century, but later began to flourish when Buddhism once again rose to prominence. 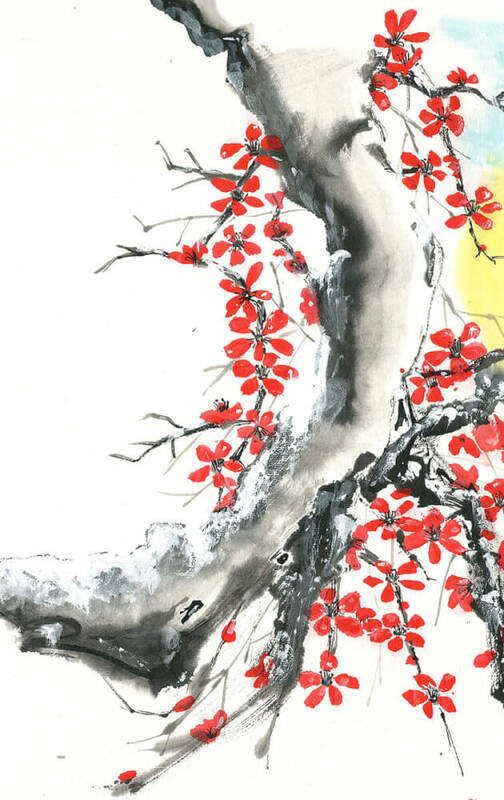 The spread of Buddhism into China has made the country host to the largest and finest collection of Buddhist art and calligraphy in the world. 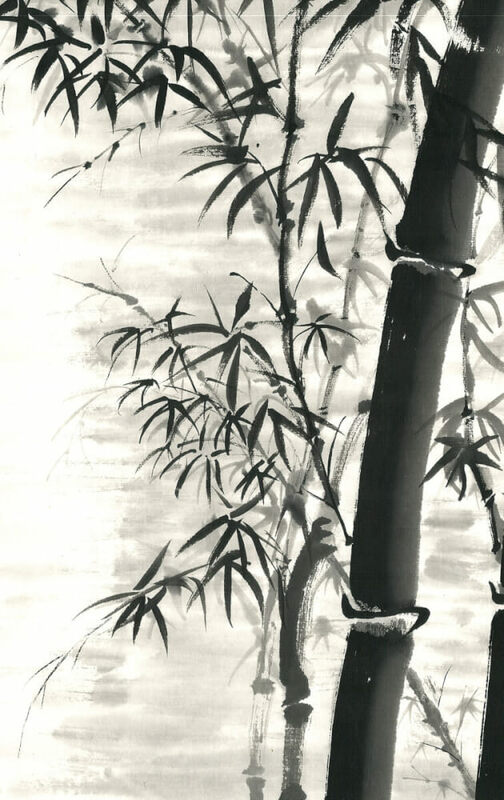 Numerous master artists and renowned calligraphers immigrated to Canada from China in the mid-1900s, bringing along their techniques and talent. 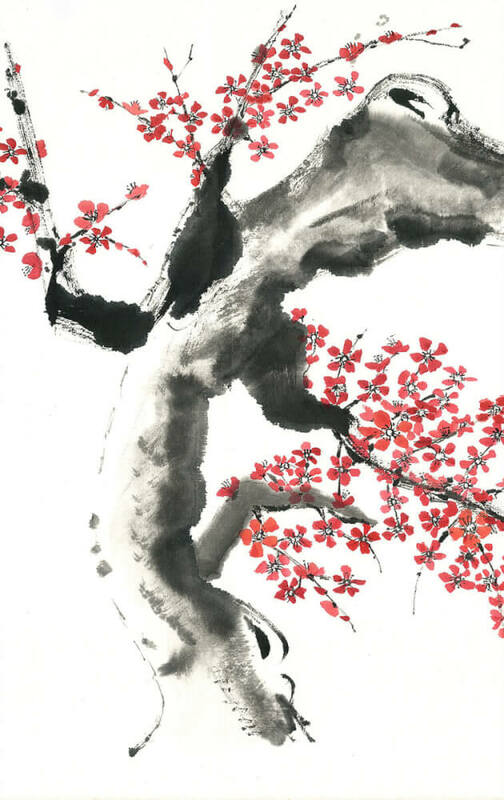 Since 1986, the temple has been holding the monthly art exhibition Karma of the Brush, at which artists and calligraphers in the Greater Vancouver area could gather and present their works to the public. The temple is now home to hundreds of Buddhist paintings and calligraphy. One of the founders of Karma of the Brush is master artist Fung Kai Mun, who spent two years painting the Seven Buddha Mural. It is the largest Buddhist Mural in the world, and is currently located in the temple’s Seven Buddha Pavilion. Mr. Fung is also the creator of many meaningful pieces at our temple, such as the famous ceramic mural of Avalokitesvara Bodhisattva. 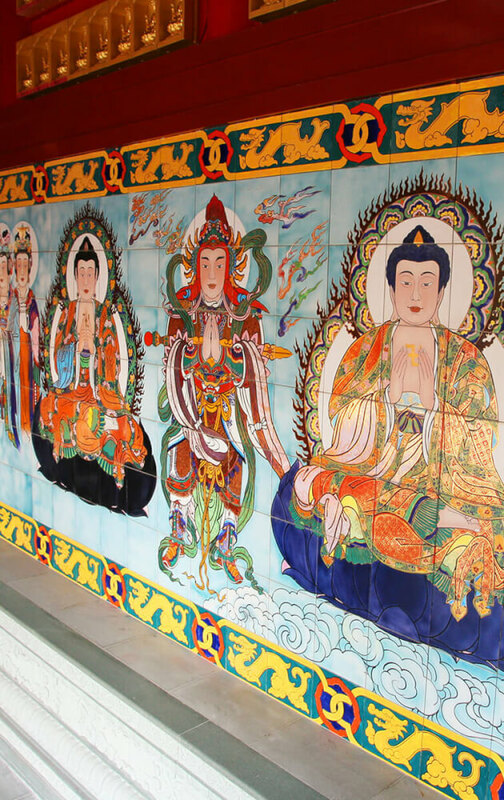 This mural, of Avalokitesvara Bodhisattva nestled in the bamboo grove, has been a main feature of the temple’s inner courtyard for more than twenty years. The public may admire these famous paintings and calligraphic works upon the walls throughout the temple.